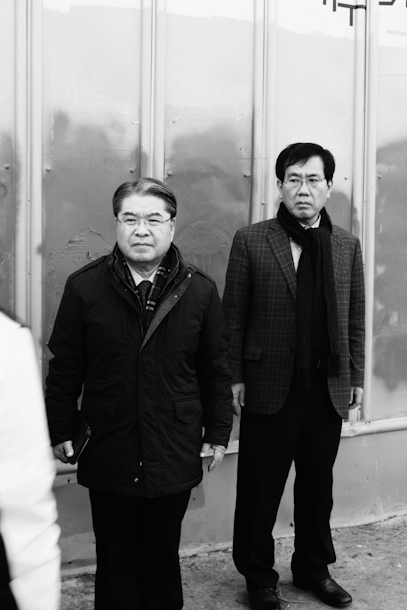 On Nov. 30, Lee Jae-Jung, former Minister of Unification visited Gangjeong, seeing himself on the police violation on human rights in Gangjeong. Will it make any difference? The Ex-Roh Moo-Hyun government for which he has worked as a Minister of Unification, decided to build the Jeju naval base in 2007 in the name of Civilian-Military Port of Call, despite the opposition of majority of villagers. 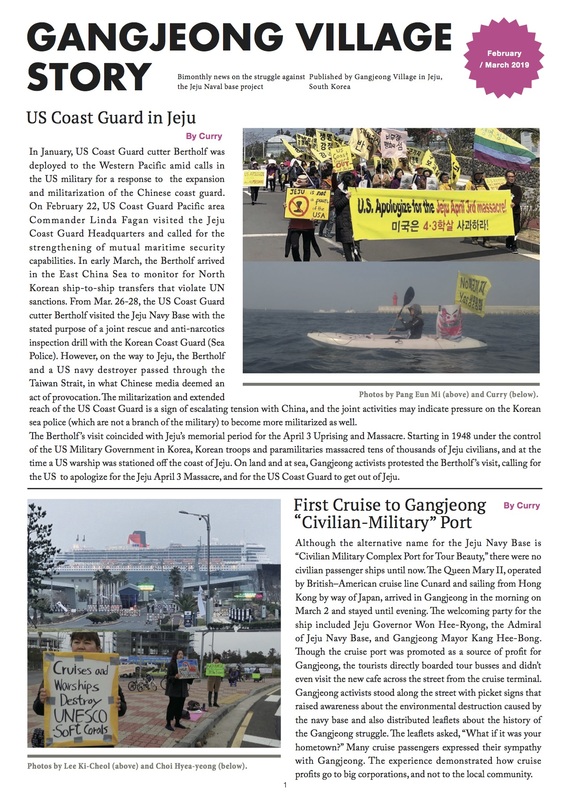 It was under the current Lee Myung-Bak administration to expand the base project as the Civilian-Military Complex Port for Tour Beauty now turned out to be only false mask of ‘pure’ military base. Lee Jae-Jung, former Minister of Unification and 33rd Minister for Unification who was essential to the North and South Korea summit meeting 2007, lead the intense prelude to the second inter-Korean Leader’s Summit of 2–4 October 2007 (You can see Oct. 4 joint statement here. He is also known to have opposed the base project in 2007. 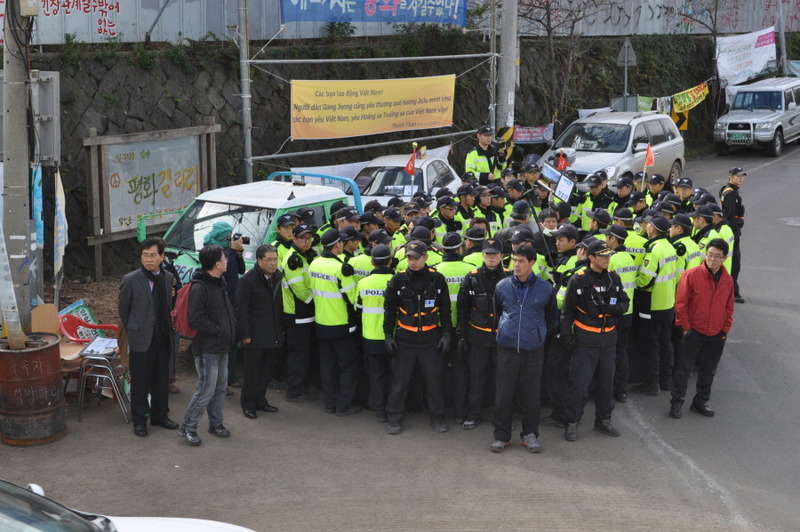 However, the politicians under the Ex-Roh Moo-Hyun government should be responsible for the current situation. And he should not be the exception. Until they thoroughly apologize to the Korean citizens their fault in 2007 and make all efforts to revoke the Jeju naval base project, people will not pardon them. We hope the Former Minister, seeing in his bare eyes, the real situation of people’s desperate struggles in Gangjeong, make his best effort to cut the whole budget on the Jeju naval base project!!! !